Why use Evening Primrose Oil 1000mg? 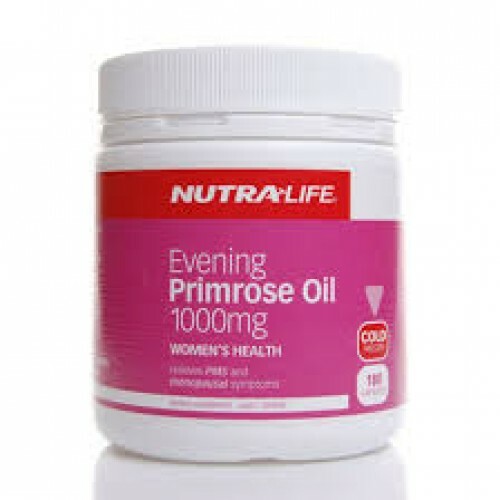 This high-potency formula provides a valuable source of essential Omega 6 fatty acids, including Gamma-linolenic acid (GLA) and Linoleic acid. These essential fatty acids play a role in helping your body to maintain hormonal balance throughout your entire menstrual cycle and into menopause. They may also assist with dry, irritated skin conditions; and support healthy circulation. Adults: Take 3 capsules daily with food, or as directed by your healthcare professional. If symptoms persist consult your healthcare professional.